Amazon prime although not the best is one of the top the video streaming services you can find on the web today. He amazon prime is an app you can find on the Amazon app store. This is a paid Amazon service that gives users access to movies, music, and many more. The amazon prime has no limits as it can be used by anyone, anytime and anywhere. This feature includes a free two day delivery through Prime now, streaming of videos and music and many other benefits for a fee. It is also necessary for you for you to know that it has an alternative delivery method through one of their services called “amazon key” and “amazon prime air”. Free fast delivery on over one million hundred plus items. The amazon prime has super-fast shipping and flexible delivery options and all you have to do is to choose the one that best suits you. Free one day shipping and same day delivery: all the amazon prime members in ten thousand plus cities can get free one day shipping or a fee same day delivery on about three million plus items with a qualifying order of more than thirty five dollars. Release day delivery: the release day delivery is also another one of the feature that makes i special. All you have to do is choose any of the free release dates. And check items that qualify for that date. And your item would be delivered to you on that day by 7PM. Prime videos: these video can be watched by a prime user. The movies on this prime include popular TV shows and movies. You can easily access all these for no extra fee. You can also enjoy unlimited streaming of music if you are a prime member on amazon. Read books for free. If you are a member, you can read any of the books you like from the amazonstores. These books includes kindle books, magazines, short works, comics, children’s book and many more. These are just some of the benefits. 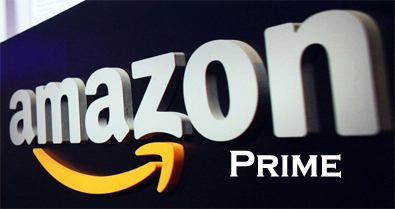 Before you can be a prime member on amazon, you must have an amazonaccount.